Light is the condition of all vision, and the visual media are our most important explorations of this condition. The history of visual technologies reveals a centuries-long project aimed at controlling light. 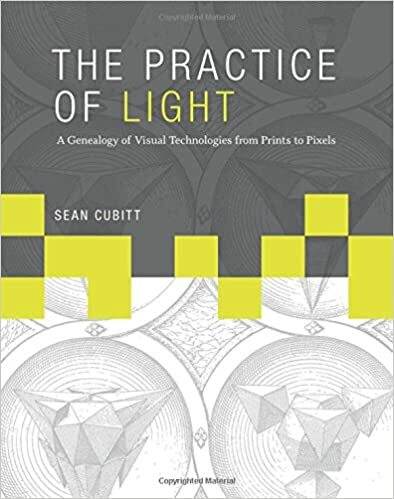 In this book, Sean Cubitt traces a genealogy of the dominant visual media of the twenty-first century -- digital video, film, and photography -- through a history of materials and practices that begins with the inventions of intaglio printing and oil painting. Attending to the specificities of inks and pigments, cathode ray tubes, color film, lenses, screens, and chips, Cubitt argues that we have moved from a hierarchical visual culture focused on semantic values to a more democratic but value-free numerical commodity. Cubitt begins with the invisibility of black, then builds from line to surface to volume and space. He describes Rembrandt's attempts to achieve pure black by tricking the viewer and the rise of geometry as a governing principle in visual technology, seen in Dürer, Hogarth, and Disney, among others. He finds the origins of central features of digital imaging in nineteenth-century printmaking; examines the clash between the physics and psychology of color; explores the representation of space in shadows, layers, and projection; discusses modes of temporal order in still photography, cinema, television, and digital video; and considers the implications of a political aesthetics of visual technology.